It's time for WOYWW again. For the details go to Julia's blog and see what's it all about. My desk this week is a a bit cleaner on the paper crafting end. I had just cleaned it up a bit last night before bed after making a Translucent Sculpey Transfer (see the post below if you want to know how these are done). This is my busy week at work so I haven't got any jewellery made on my jewellery making end of my desk. On the Paper crafting side I did get another 2 mixed media cards made. One is made from the mixed media background that was on my desk last WOYWW. I stood back a bit to take this photo so you can see that all my goodies are in stackable draws at the left. Ink pads and frequently used items are at the back of my desk. The iron is my handy craft iron and NOT for ironing clothes LOL. It's Wet season now so you can see out the window it's very green outside. Wet season brings us 6 months of on/off rain and it's also our Cyclone season. Thankfully this year there have been no Cyclones our way. We have had less rain then usual too so its been very hot and humid too. Wet season ends at the end of the month and then it will be...you guessed it The Dry Season LOL. I live in the tropics so we do not have 4 seasons just 2. Both seasons play havoc on my art supplies like you wouldn't believe! Here a close up images of the cards....the first one has the Words hidden on it that say "Magic Can Happen". and this one has "My friends in art"on it. Gorgeous card designs, love the delicate detail, colours and layouts LOADS. Your cards are very beautiful! I enjoyed the snoop around your blog very much! I have so wanted to try this style for a long time but just have not had the heart. Trully great work and so inspiring. Love your studio, brilliant space and so you. Two absolutely beautiful cards but what I would expect from you as I have seen your work before and kind of know you from a group on the internet. 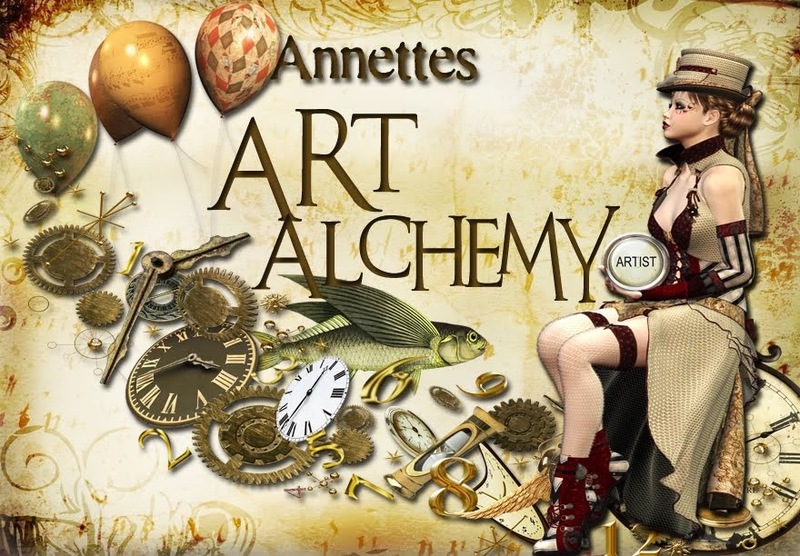 As soon as Shaz mentioned Annette from Oz on her blog I knew it had to be you. You have such a talent and I know you do lots of different crafts from my time on Janes Lab. So glad you are now on WOYWW. Welcome to WOYWW...i'm afraid it can become somewhat of an addiction...but if it takes me to blogs like yours, I say bring it on! I am positively mesmerized by your cards. I had seen pictures of a piece that Finnabar made for CHA this winter that looked like it had this kind of layering, but I've never been able to see it close up. I absolutely love all the things you have managed to incorporate...I mean really - a clothespin? They are simply fabulous. I'm curious tho, how you colored them. Off the card and then attached or did you cover up the picture, or maybe its because I have just woken up, and I can't quite figure it out. Hope you have some time this week to be creative!! HI Annette, lovely mixed media pieces, and great colours! belated WOYWW wishes and have a great week! A great creative space to share and well yes am very late too in getting around.. story of my life am afraid! Really great to see your cards though!! ... and re the posting time it is from this weekend on (as daylight saving ends here and has started over there) at 3pm eastern standard time - it was 4pm daylight saving time and when they were in winter is 5 pm daylight saving time - for most of our summer..
...so varies throughout year - not sure; you prob dont have daylight saving, just central standard time and guess that is half an hour behind eastern standard time? so about 2.30pm?? perhaps? however it is never on the dot of 6am over there. Thanks so much for sharing ~ happy 200 WOYWW! Your desk looks like an art installation. I'm very jealous. And such gorgeous cards. Very inspiring. Oh my GOSH! your cards are sooo fantastic! love your finn inspired cards! Amazing. Hi there Annette! Great to meet you! Thanks for dropping by my desk...I only post once weekly so I tend to ramble on a bit about life here in deepest Wiltshire!